The racing season is not that far away. If you would like to: Flight test the new craft you have been building over the winter months – ensure that the repaired one still works – reawaken your driving skills – learn to drive – just have a ride – catch up with Hovercrafting friends, then come to Popham on the above date. Note that prior registration is encouraged to save time on the day. Please e-mail Bob Beech at robertf.beech@btopenworld.com or Kevin Foster at kevin@mhdocs.co.uk Registration forms and other documents will then be sent to you before the event. From the North and East – Exit the M3 at J8 onto the A303. After about two miles take the junction for Micheldever Station and then turn right (north) and go under the A303 and turn right as if you are to go back onto the A303. Go past the first junction on the left and then the airfield entrance is on your left. Don’t go too fast though as if you miss the entrance you will, indeed, end up back on the A303. From the South – If on the M3 you need to go to J7 and then go back onto the southbound side of the M3. Then follow the directions as above. From the North and West – From the A34 take the A303 for about two and a half miles and take the junction signposted Micheldever Station. At the “T” junction turn right and then immediately left as if to go back onto the A303. Then follow the directions above. On entering the airfield, (the entry route is shown on the Google picture) there is a short one way section of road at the end of which the road turns sharply to the right. Bear left at this point and pass through a gravelled car park onto a track going down the hill. 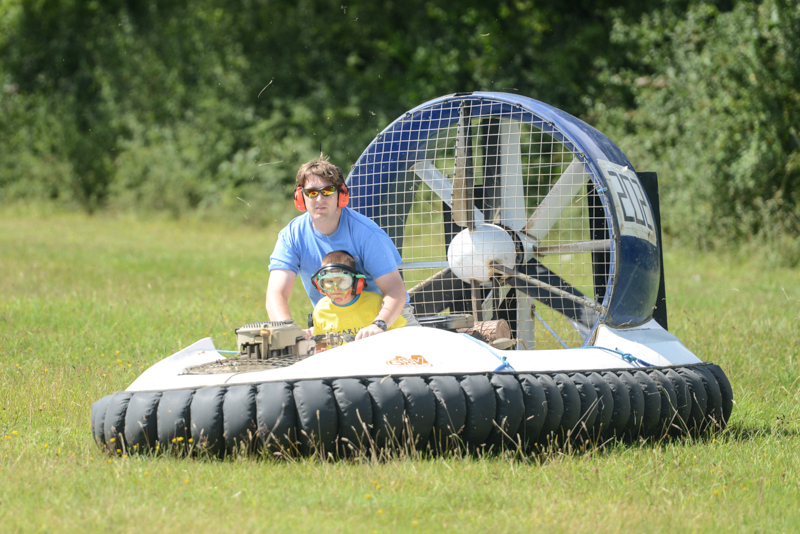 At the bottom, vehicles towing hovercraft can be parked on the gravel road alongside the aircraft park. To save space, please park solo vehicles in the car park, as indicated. YOU ARE ADVISED TO USE THIS ROUTE IN VIEW OF LOW HANGING BRANCHES OVER THE TARMAC ROAD THAT COULD PRESENT PROBLEMS FOR HIGH VEHICLES SUCH AS VANS AND MOTORHOMES.